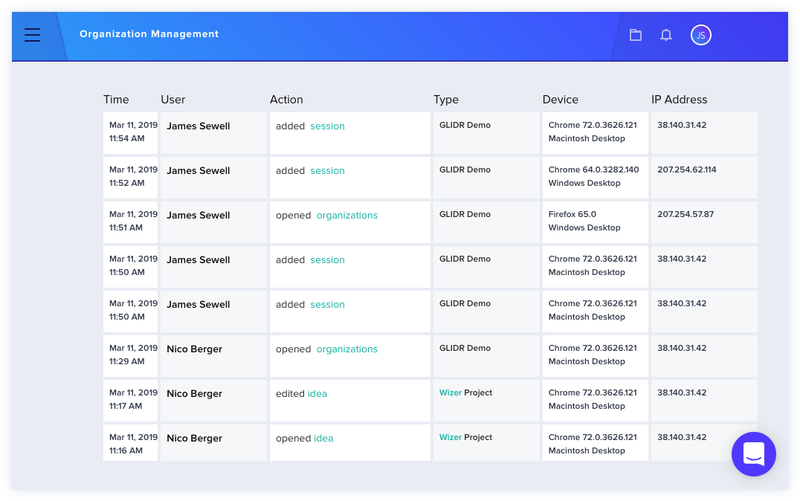 Access Logs are only visible to Owners and display user access activity within your organization. To view the Access Logs for your organization, click on the white arrow next to your organization at the top left of the page and click Organization Management. Next, select the Access Logs tab. Results will load as you scroll down the page. Please reach our to GLIDR Support if you have any questions about the Access Logs feature. Find out more about managing organization permissions.